Andy Warhol's 200 One Dollar Bills, 1962. 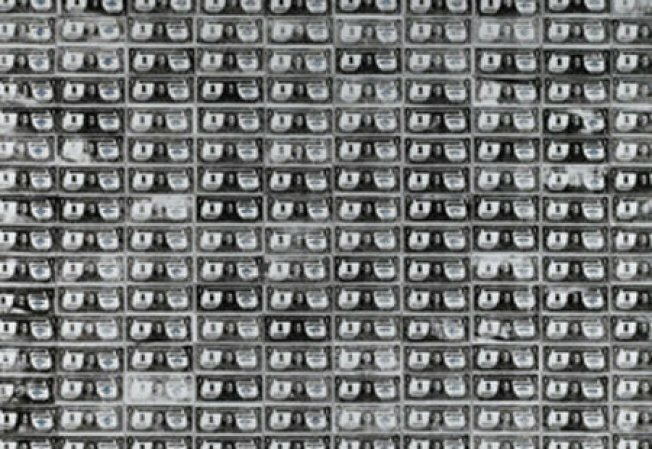 An Andy Warhol painting called "200 One Dollar Bills" has sold at auction for $43.8 million, shooting past its presale estimate of $8 million to $12 million. The silk-screen painting sold at Sotheby's on Wednesday evening. The names of the buyer and seller were not disclosed. The auction house says the bidding opened at $6 million and was immediately doubled. Five more people in the room jumped in, competing until a phone bidder was declared the winner. The work was executed in 1962. It was once owned by taxi tycoon Robert C. Scull, who purchased it directly from Warhol's dealer. The current owner bought it in 1986 for $385,000.